This was one adventure in the making!! My husband and I spent some time thinking about the Got Milk costume for a while, but once we got the supplies: paint, staple gun, padding (for shoulders), and foam for the straw, the fun began!!! 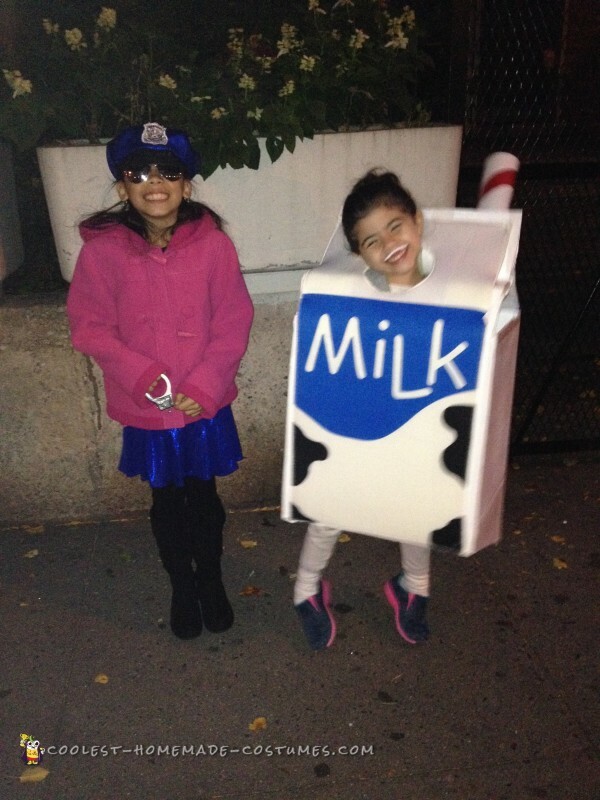 This happened once we ordered a milk carton costume from Amazon. We had only less than a week before my 6-year-old daughter’s parade, so there was not much we could do but tweak it. 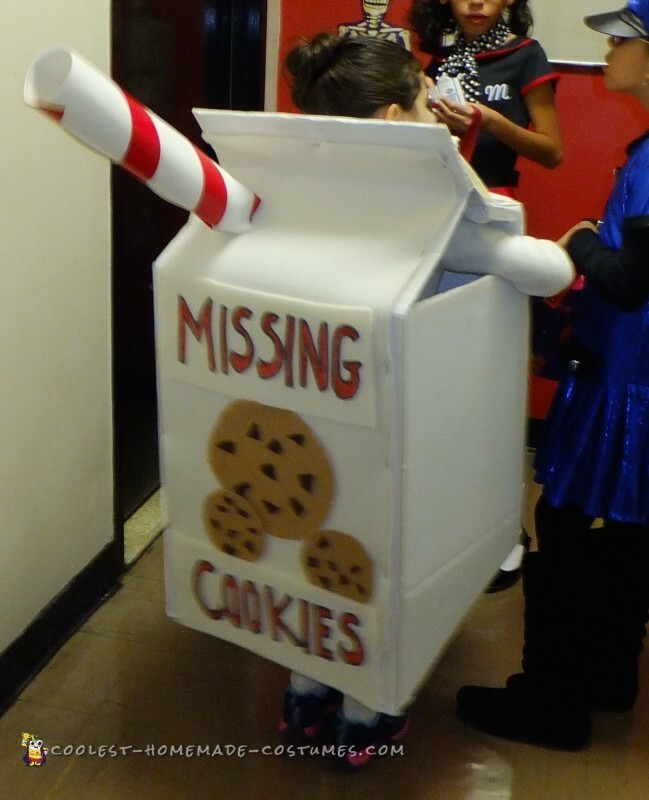 The costume came with a stain and some tear in the seam. Obviously, it was a return. My daughter wanted to use it with the stain and all, but we just couldn’t do it (or at least I couldn’t). So we came up with a plan. 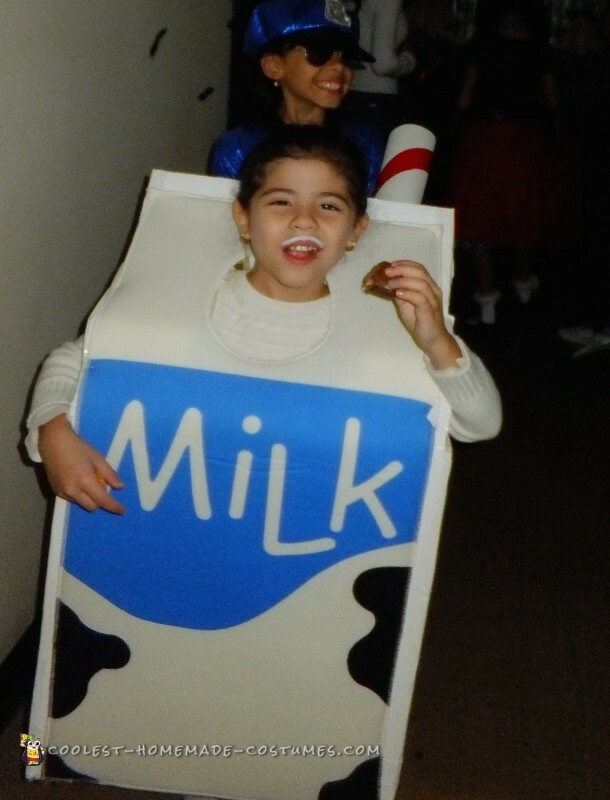 The milk sign was okay enough to stretch out and staple onto a cardboard box, but only after we painted the entire box white. As for the back, I used the back side (inside out) of the Amazon costume and stapled that onto the box. I used foam for the words “Missing Cookies” and felt in brown and dark brown for the cookies. We added cushion and also staple gunned those to the inside for some shoulder padding. As for the straw, we made a hole on the back top, rolled up two white and red poster sized cardboards and stapled that on the underside too. Once all the stapling was secured, we closed the top of the carton with… you guessed it. I put white eye makeup on my daughters top lip and done!